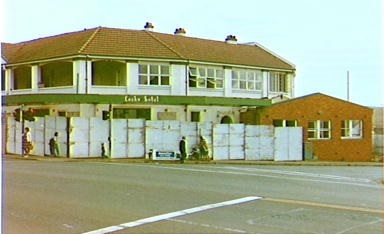 Modernism is partially revealed in the architectural style of railway buildings and other infrastructure across Australia. 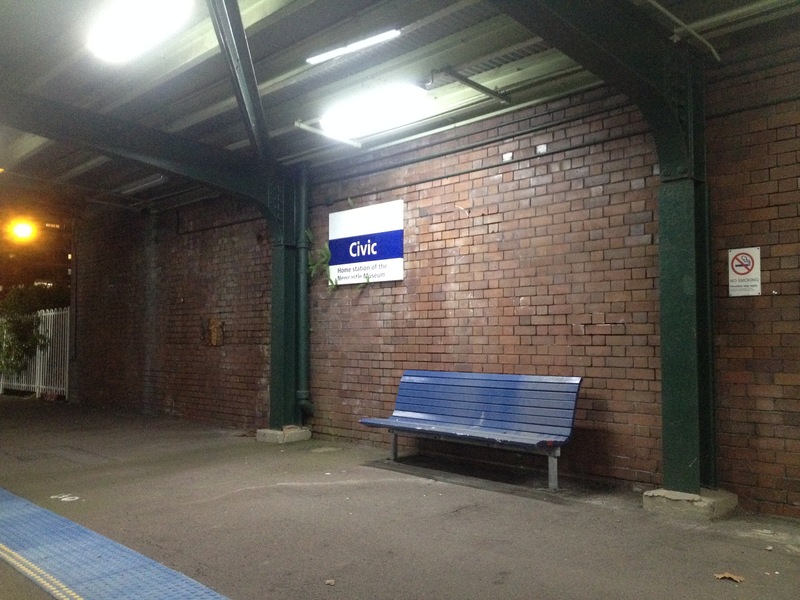 The now closed Civic Railway Station on the Hamilton-Newcastle branch line is just one example of how this happens in the regional city of Newcastle. The station building is the first Interwar Functionalist railway building in NSW to employ domestic architectural features, demonstrating the NSW Railways experimentation with new styles during the Interwar period. The footbridge is unique as the only known example of this structure constructed on brickpiers. The signal box is unique as the smallest elevated box constructed on the NSW rail system. The Civic Railway Station and surrounding buildings were built in 1935 in the Interwar Functionalist style using dichromatic and polychromatic brickwork as a simple decorative effect. The railway station is located between Wickham and Newcastle railway stations. 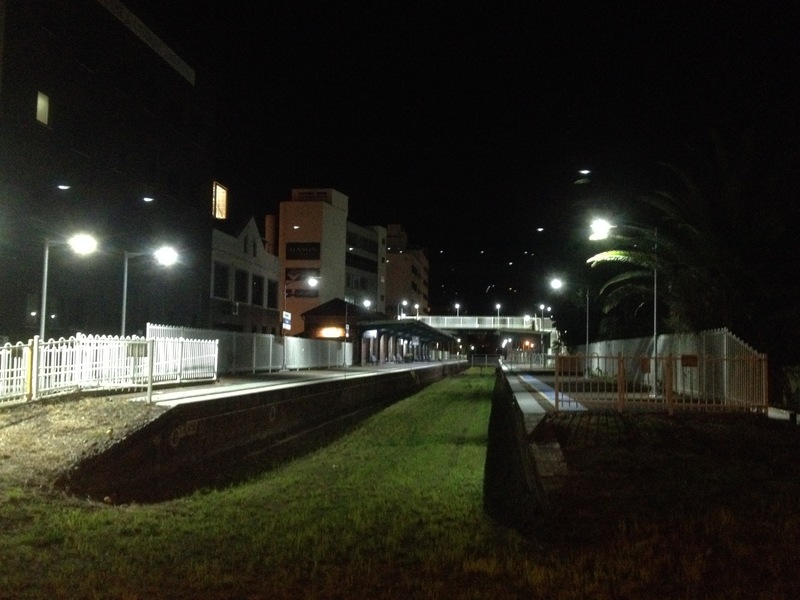 Originally the station was part of the railway line built between ‘East Maitland’ railway station and ‘Newcastle’. 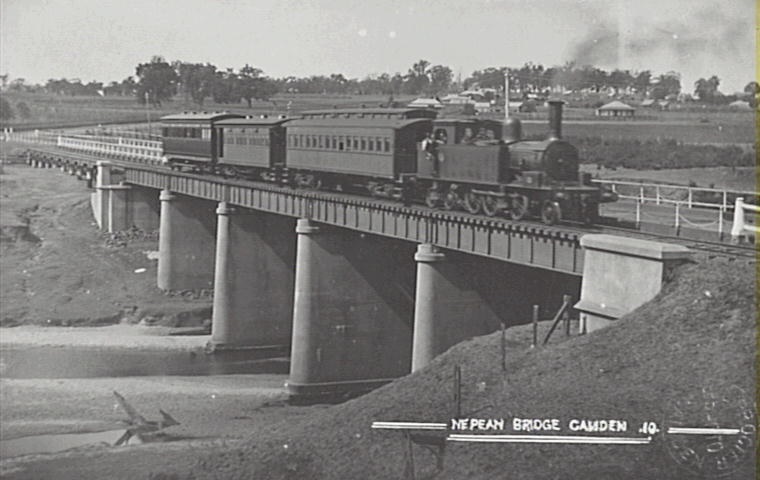 The line was originally built in 1857-1858 as a link between the government town of East Maitland and the river port at Newcastle. 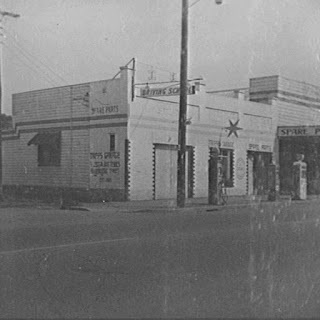 The Newcastle station was re-named Honeysuckle and Honeysuckle Point near the river port and has a number of locations. The large goods yards east of ‘Newcastle’ railway station was constructed in 1858. The site of Civic Railway Station is significant as it was the former 1857 site of the Newcastle (Honeysuckle) terminus of the Great Northern Railway Line. Electrification of the Gosford-Newcastle line occurred in 1984, after the Sydney-Gosford section in 1960. 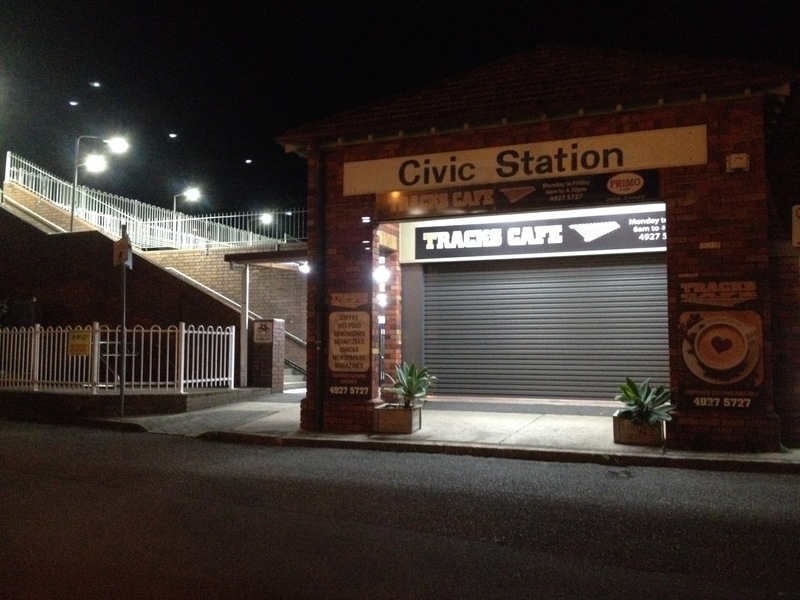 Civic Railway Station was closed in 2014 by the Baird Liberal Government when the line between Hamilton and Newcastle was finally closed after much community dissent. 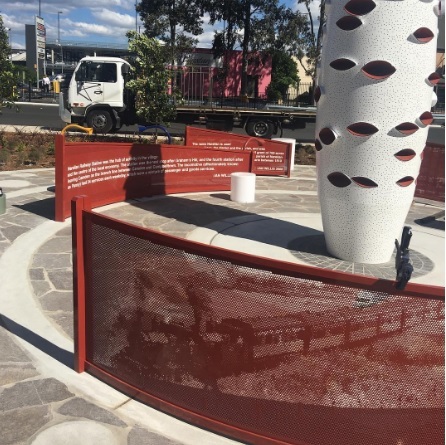 The Civic Railway Station site is historically significant as the location of the Newcastle terminus station on the Great Northern Railway line (1857), one of the first railway lines in Australia. The station building represents the first attempt to adapt domestic architectural styles for railway purposes. The station buildings and footbridge, are good examples of Inter-War Railway Domestic style in regional NSW. 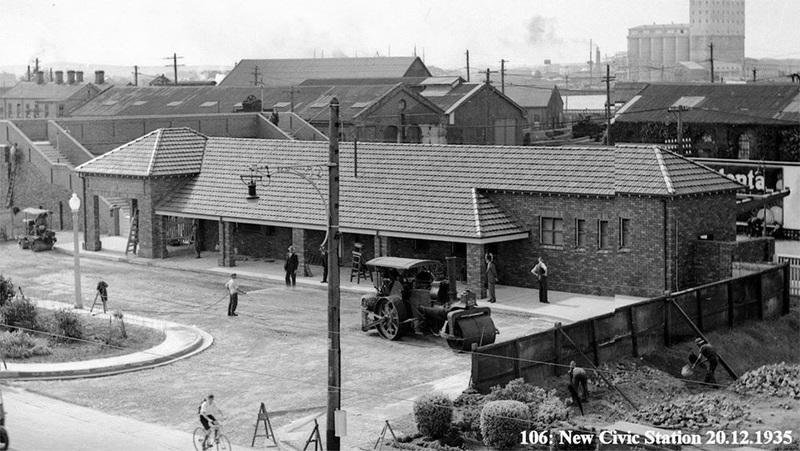 Civic Railway Station is largely intact and retains much of its original integrity from 1935, along with the signal box, platform shelter, footbridge and forecourt. 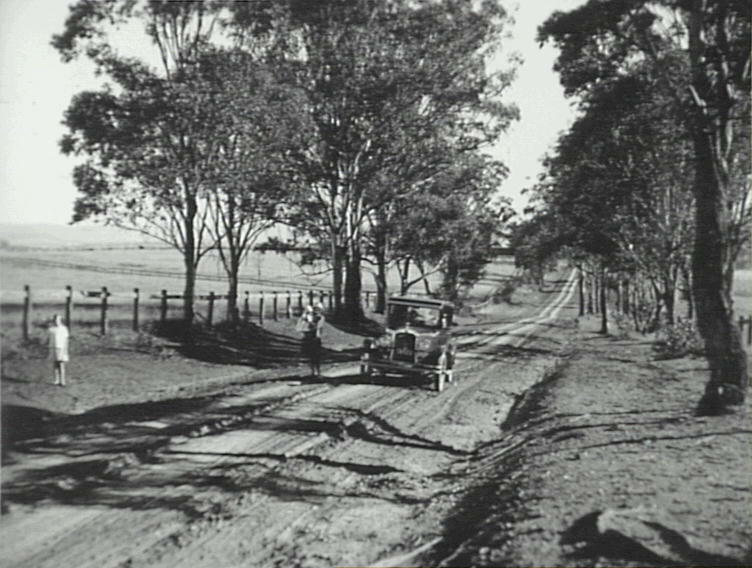 The township of Camden on the banks of the Nepean River south-west of Sydney provides a glimpse of life from times gone past. 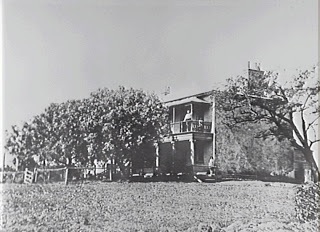 The town was established in 1840 on the Macarthur family estate of Camden Park. The charm and character of the town comes from the many 19th century colonial buildings and early 20th century cottages. 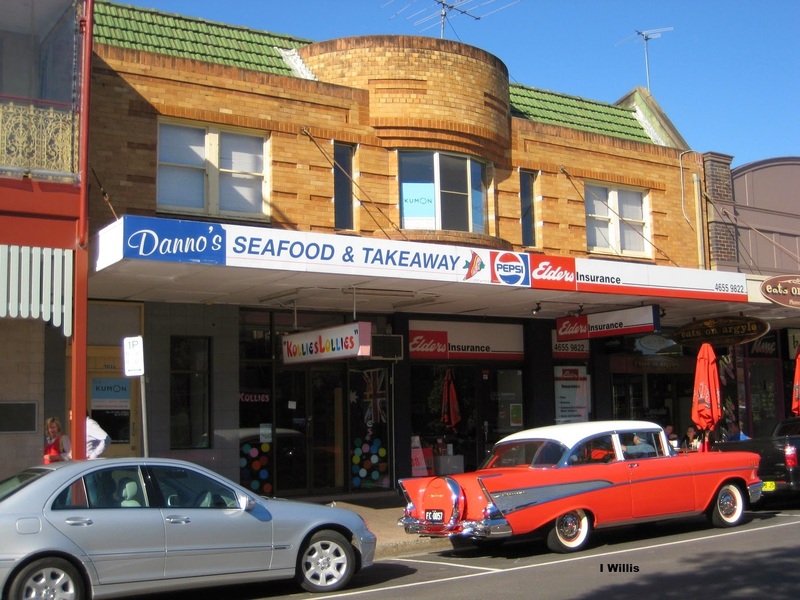 The heritage of the local area makes Camden, according to some expert sources, the best preserved country town on the Cumberland Plain. 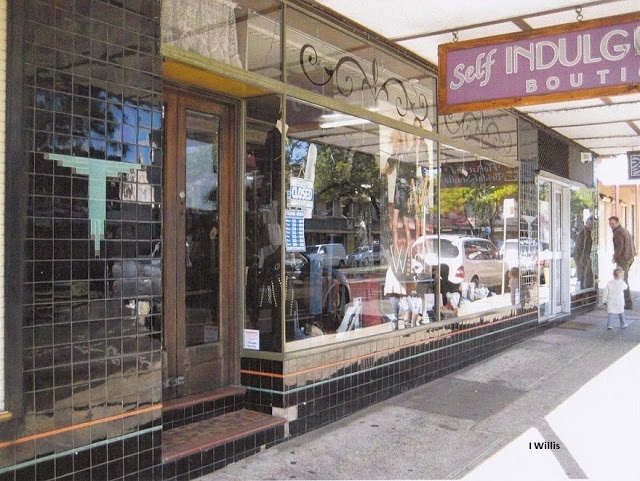 The visitor can experience Camden’s historic charm by walking around the town’s heritage precinct by following the Camden Heritage Walk. 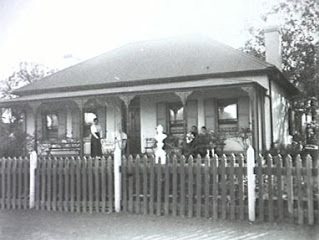 A free booklet can be obtained from Oxley Cottage (c1890), the Camden Visitor Information Centre, which is located on Camden Valley Way on the northern approaches to Camden. Oxley Cottage is a farmer’s cottage built on land that was granted to John Oxley in 1816. Camden’s heritage precinct is dominated by the church on the hill, St John’s Church (1840) and the adjacent rectory (1859). Across the road is Macarthur Park (1905), arguably one of the best Victorian-style urban parks in the country. In the neighbouring streets there are a number of charming Federation and Californian bungalows. 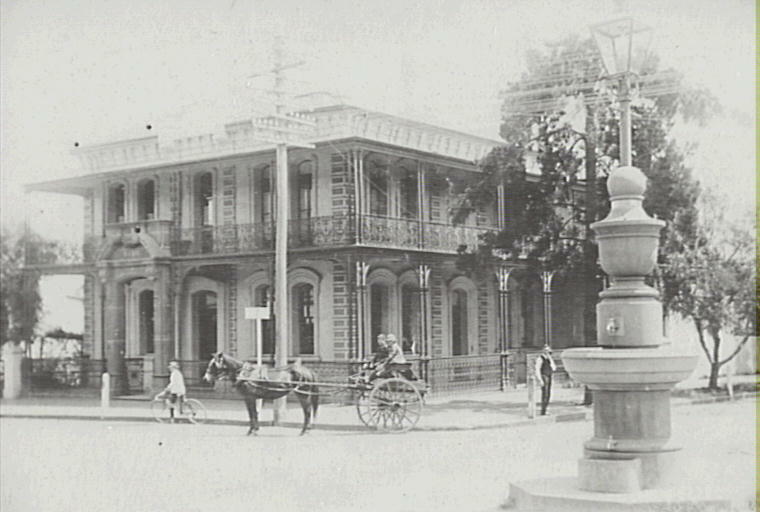 A walk along John Street will reveal the single storey police barracks (1878) and court house (1857), the Italianate style of Macaria (c1842) and the Commercial Bank (1878). 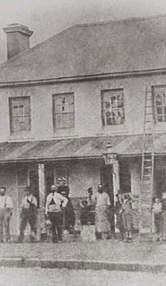 Or the visitor can view Bransby’s Cottage (1842) in Mitchell Street, the oldest surviving Georgian cottage in Camden. A short stroll will take the visitor to the Camden Museum, which is managed by the Camden Historical Society. 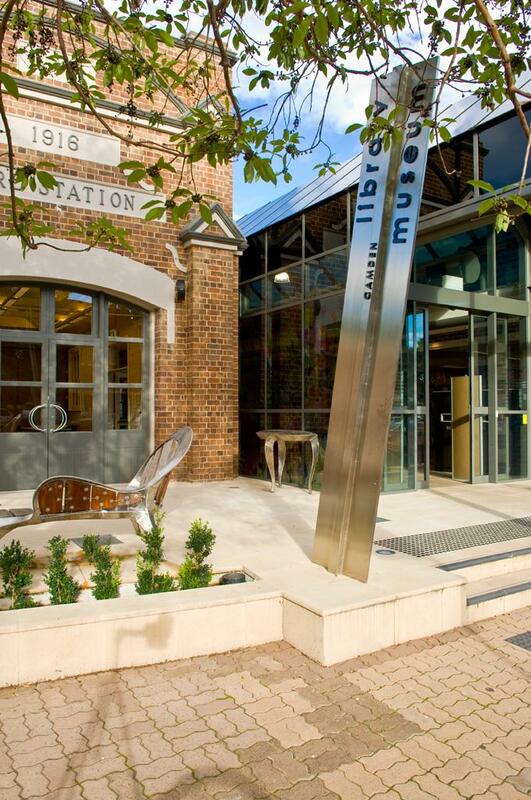 The museum is located in John Street in the recently redeveloped Camden Library and Museum Complex. The visitor can take in Camden’s rural past when they enter the northern approaches of the town along Camden Valley Way. 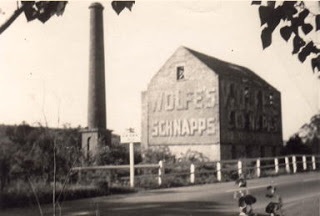 They will pass the old Dairy Farmer’s Milk Depot (1926) where the farmers delivered their milk cans by horse and cart and chatted about rural doings. The saleyards (1867) are still next door and the rural supplies stores are indicative that Camden is still ‘a working country town’. As the visitor proceeds along Argyle Street, Camden’s main street, apart from the busy hum of traffic, people and outdoor cafes, the casual observer would see little difference from 70 years ago. Local people still do their shopping as they have done for years and stop for a chat with friends and neighbours. 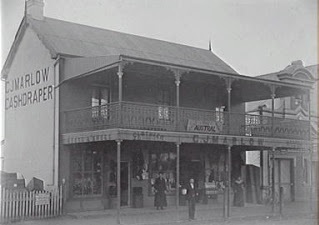 At the end of Argyle Street the visitor can stroll around Camden Showground (1886). A country style show is held here every year in March and the visitor can take in local handicrafts in the show hall (1894) or watch the grand parade in the main arena. The picturesque rural landscapes that surround Camden were once part of the large estates of the landed gentry and their grand houses. A number of these privately owned houses are still dotted throughout the local area. 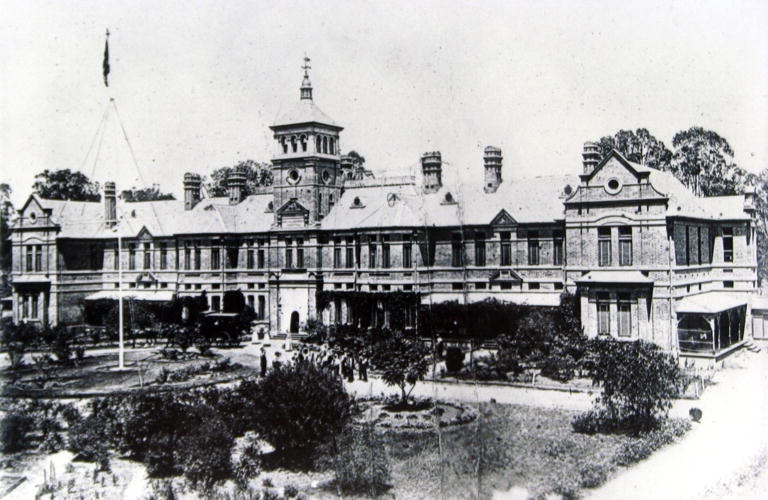 Some examples are Camden Park (1835), Brownlow Hill (1828), Denbigh (1822), Oran Park (c1850), Camelot (1888), Studley Park (c1870s), Wivenhoe (c1837) and Kirkham Stables (1816). The rural vistas are enhanced by the Nepean River floodplain that surrounds the town and provides the visitor with a sense of the town’s farming heritage. The floodplain also reveals to the railway enthusiast the remnants of railway embankments that once carried the little tank engine on the tramway (1882-1963) between Camden and Campbelltown. The locomotive, affectionately known as Pansy, carried a mixture of freight and passengers. 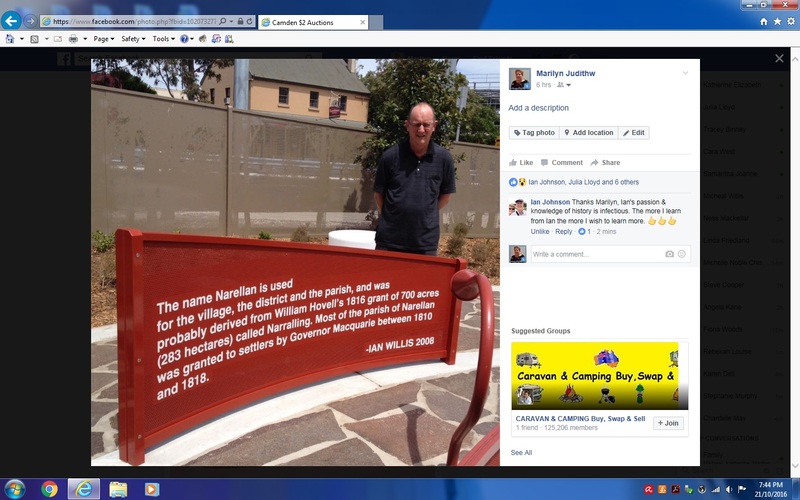 It stopped at a number of stations, which included Camden, Elderslie, Kirkham, Graham’s Hill and Narellan. The stationmaster’s house can still be found in Elizabeth Street in Camden, and now operates as a restaurant. 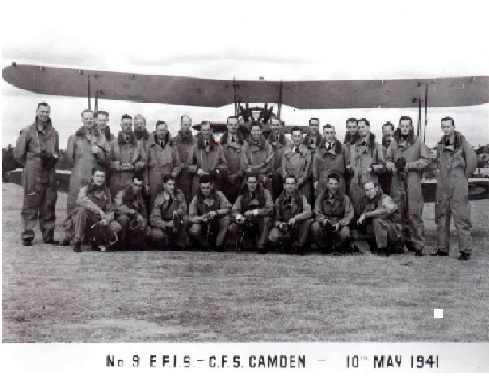 For the aviation buffs a visit to the Camden Airfield (1924) is a must. It still retains its wartime character and layout. 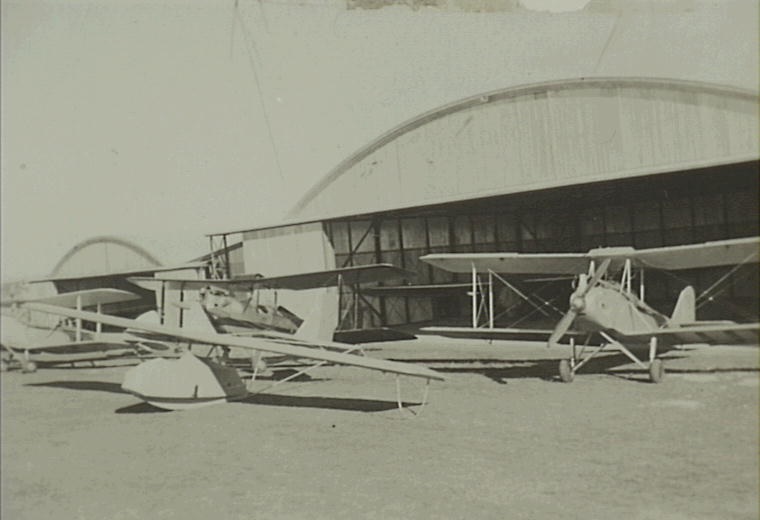 As you enter the airfield view the privately owned Hassall Cottage (1815) and Macquarie Grove House (1812) and think of the RAAF sentry on guard duty checking the passes of returning airmen on a cold July night. The visitor can then relive the days when RAAF airmen (32 Squadron, 1943) flew out of the base chasing Japanese submarines on the South Coast, or when the RAF (1944) occupied the still existing hangers and runways flying transport missions to the South Pacific. 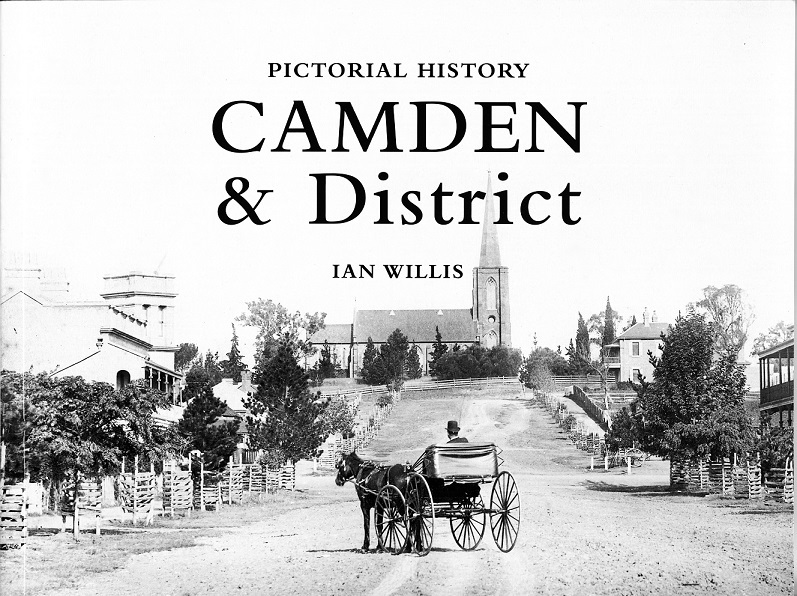 There are also a number of historic villages in the Camden area. Amongst them is the quaint rural village of Cobbitty where the visitor can find Reverand Thomas Hassall’s Heber Chapel (1815), St Paul’s Church (1840) and rectory (1870). Narellan (1827), which is now a vibrant commercial and industrial centre, has the heritage precinct surrounding the St Thomas Church (1884) and school house (1839). The buildings are now used for weddings and receptions. 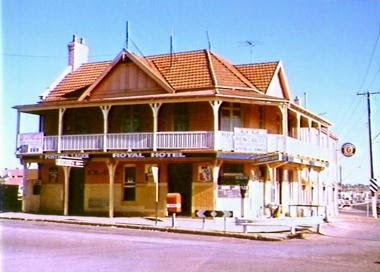 There is also the Burton’s Arms Hotel (c1840) now operating as a real estate agency and the Queen’s Arms Hotel (c1840), which is now the Narellan Hotel. A visit to Cawdor will reveal a real country church that has been functioning continuously for over for over 100 years, the Cawdor Uniting Church (c1880). Cawdor is the oldest village in the Camden area. Written by Ian Willis member of Professional Historians Association NSW. 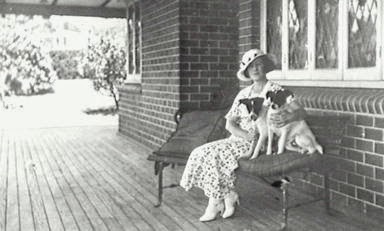 ‘This is like home, like England’, proclaimed the Duchess of York in 1927 on her visit to Menangle. 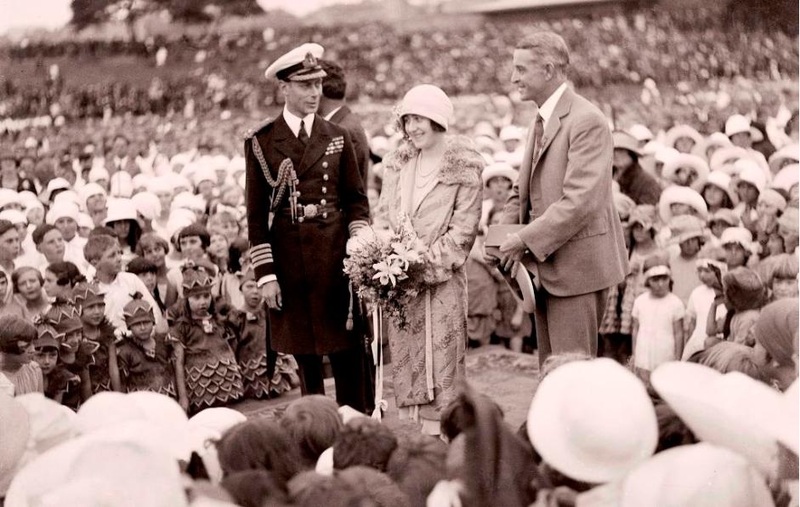 She and her husband the Duke of York visited Camden Park as part of their royal visit of Australia, which involved the opening of the provisional Parliament House in Canberra in May. 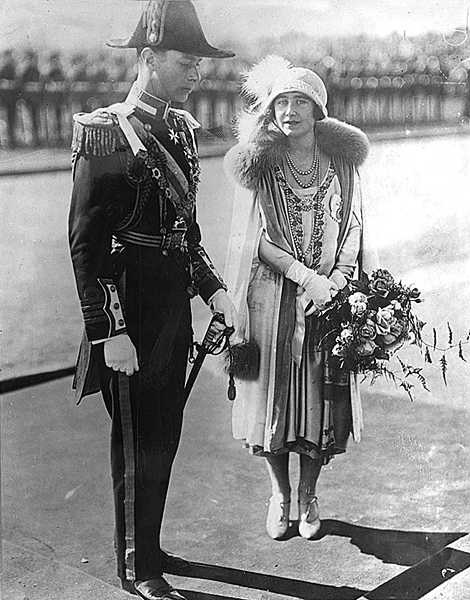 The Duke and Duchess of York had left England of their royal tour of dominions in January 1927 on board the Royal Navy battleship HMS Renown, travelled through New Zealand in February and arrived in Australia in March. The Royals departed from Australia in late May after visiting all states. The Duke and Duchess later came to the thrown as George VI and Queen Elizabeth on the abdication of Edward VIII in 1936. 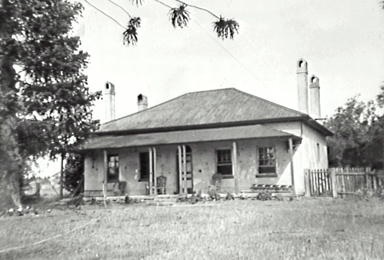 At Menangle the Duke and Duchess were guests of Brigadier-General JW Macarthur Onslow and Mrs Enid Macarthur Onslow (of Gilbulla) for a weekend in April, in the absence of Sibella Macarthur Onslow who was in England at the time. The Royals travelled by railway from Sydney by steam train. 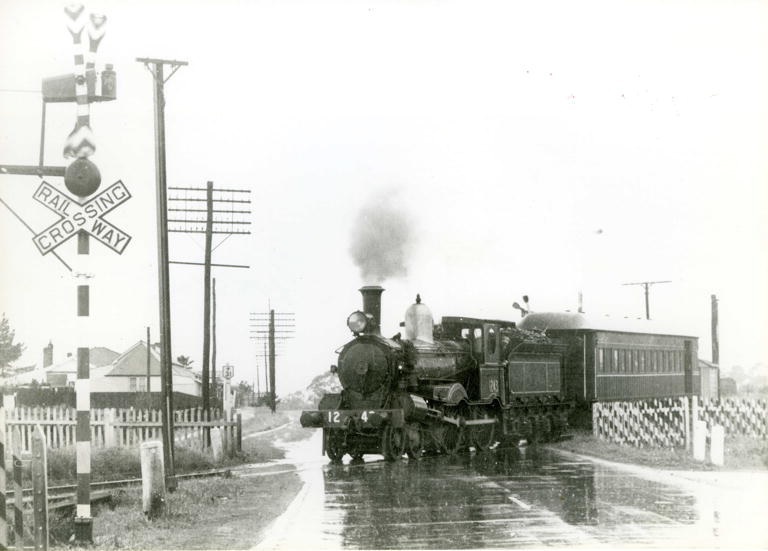 The royal entourage and the royal trains made quite an impact on a young Fred Seers, a local Campbelltown milk boy. He witnessed the royal trains pass through the Dumaresq railway gates where he was joined by a small group of enthusiastic flag waving Campbelltown locals. He recalls gatekeeper Bill Flanagan felt the occasion called for some degree of formality and dressed up in white shirt and tie. Fred vividly remembers the three ‘shiny black’ 36 class steam locomotives that ‘sparkled’ as they roared through the locked gates in a fog of steam and smoke. The first of three steam engines painted in royal blue gave a blast on its high pitched whistle as it approached adorned with two crossed Union Jacks on the front. This was followed by another steam engine pulling four carriages, presumably with the Duke and Duchess on board, then the third steam engine. The Duke and Duchess had left Sydney early and arrived at Menangle Railway Station around 1.00pm and were met by a crowd of 200 people. Mr Bell the Menangle stationmaster and his staff had spruced up the platform with flags and bunting and rolled out a red carpet for the visitors. The Duchess was presented with a bouquet of carnations and heather by ‘little Quinton Stanham’. 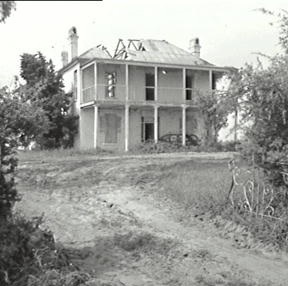 The Royals stayed with the Macarthurs at Camden Park house, one of Australia’s finest Georgian Regency country homesteads designed by John Verge and built in 1835. Verge’s design was based on Palladian principles in a central two storey central block constructed stuccoed sandstock brick on sandstone foundations. On Saturday afternoon the Duke went horse riding across Camden Park Estate, one of the earliest colonial grants in Australia allocated to John Macarthur in 1805. On ‘a whim’ the Duke and his riding companions decided to ride to the Camden Show, which was first held in 1886. The Duke created much excitement to the surprised show-goers by cantering onto the showground in front of the large crowd of around 7000 people and received a ‘tumultuous welcome’. The riding party included Miss Elizabeth Macarthur Onslow and her sister, Mrs Helen Stanham, who had recently arrived back from England for a few months, Brigadier-General JW and Brigadier-General GM, and their brother Arthur Macarthur Onslow. On Sunday afternoon the royal couple motored in a 1926 Rolls Royce to Gilbulla for afternoon tea. Gilbulla, an example of a Federation Arts and Crafts mansion designed by Sydney architects Sulman and Power and built in 1899 by JW Macarthur Onslow. 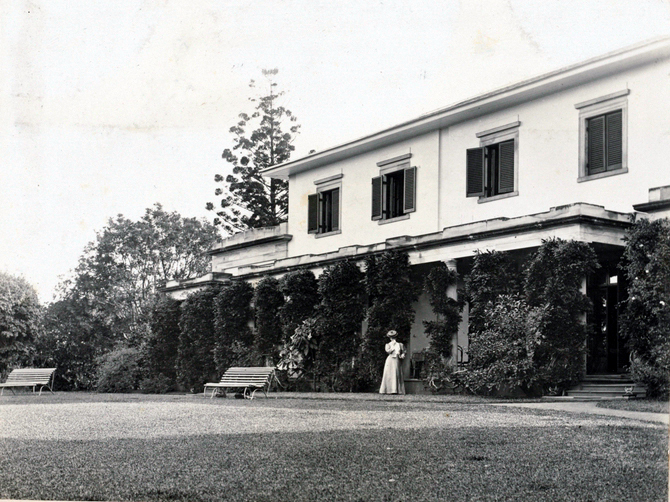 Gilbulla is a fine example of an Edwardian gentleman’s country residence for a family of power and distinction, while not out-doing the Georgian grandeur of Camden Park house itself. 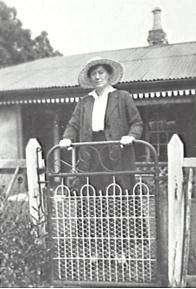 Gilbulla housekeeper Mima Mahoney served the Royals, who served the Royals afternoon tea, was the mother of local Campbelltown resident Basil Mahoney. 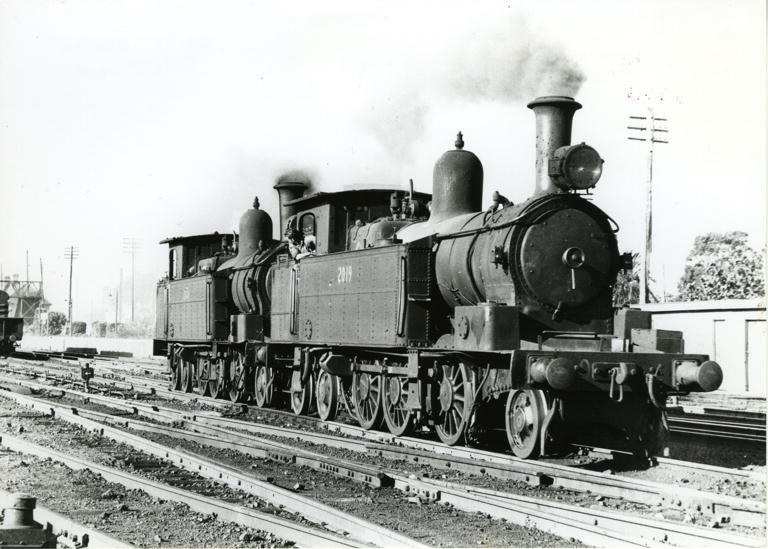 The royal entourage arrived ‘a few minutes before 5 o’clock’ at Menangle and boarded their train, which according to Fred Seers, had gone to Picton to fill up with water and coal, and turn around. Before leaving the Duke and Duchess inspect a guard of honour of Camden Boy Scouts and Girl Guides under the direction of their leaders, RD Stuckey and Miss Senior. The Menangle visit of the Duke and Duchess of York was widely reported in the Australian press. The themes of the stories revolved around the Englishness of the Menangle countryside and the Royals taking a well-earned rest from their hectic tour. The Duke and Duchess of York were both delighted with the loveliness of their week end at Camden Park… While the Duke went riding across country with the rain beating exhilaratingly in his face, and filled in a little spare time with a tennis racket on the soaked court at Gilbulla, the Duchess went driving with Miss Onslow in a sulky turnout. Both were delightfully surprised with the sylvan beauty of the surrounding, the Duchess being enraptured by an unattended stroll through the grounds along the Nepean River, which flows through the whole length of Camden Park Estate on which are great coppices of gnarled old English trees. 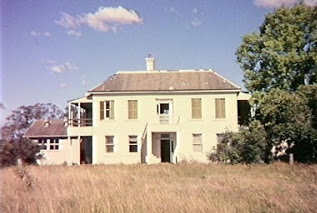 The Melbourne Argus reported that the Duke and Duchess had a ‘restful weekend’ at the ‘beautiful country estate of the Macarthur Onslow family’. The Duchess ‘walked unattended in the old gardens under English oaks and elms’. There were similar reports in the newspaper across the country. In Queensland the Warwick Daily News ran the headline ‘Royal Couple Spend Quiet Weekend’ while the Rockhampton Morning Bulletin ran the story under a banner headline ‘Royal Visitors Quiet Weekend’. The Duke and Duchess were both delighted with the loveliness of their week-end at Camden-park and Menangle – a respite from official engagements that was so deliciously free that even the intermittent rain that fell did not disturb the enthusiasm of the Royal visitors. The Camden News placed an article about the royal visit on the front page in the middle its story that reported on the 1927 Camden Show. Perhaps illustrating centrality of the royal drop-in to whole show event. On the other hand down at Picton the Picton Post placed the report of the royal visit on page two at the end of a story about the Camden Show. 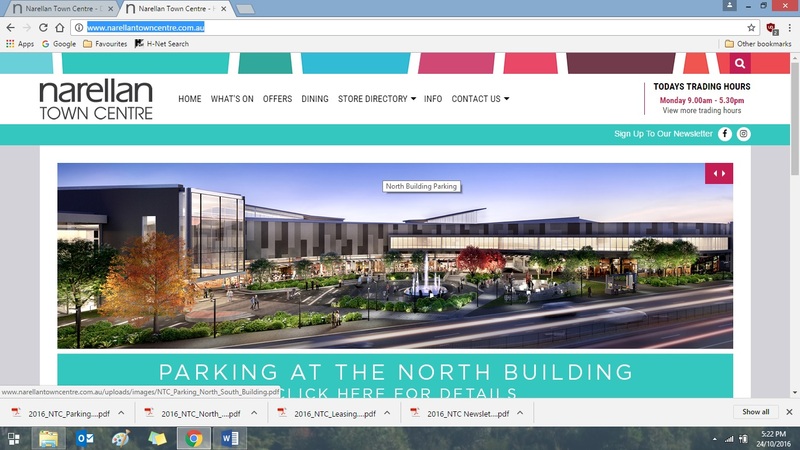 The snub was just a reflection of the parochialism of both Camden and Picton and the long term rivalry between both communities. The accusation was that the Camden community thought that they were better than Picton. More to the point this snobbishness was more of reflection of the omnipotence of the Macarthurs of Camden Park in the whole district and the colonial history of New South Wales in general. The official records of the visit of the Duke and Duchess of York are located in the National Archives in Canberra. 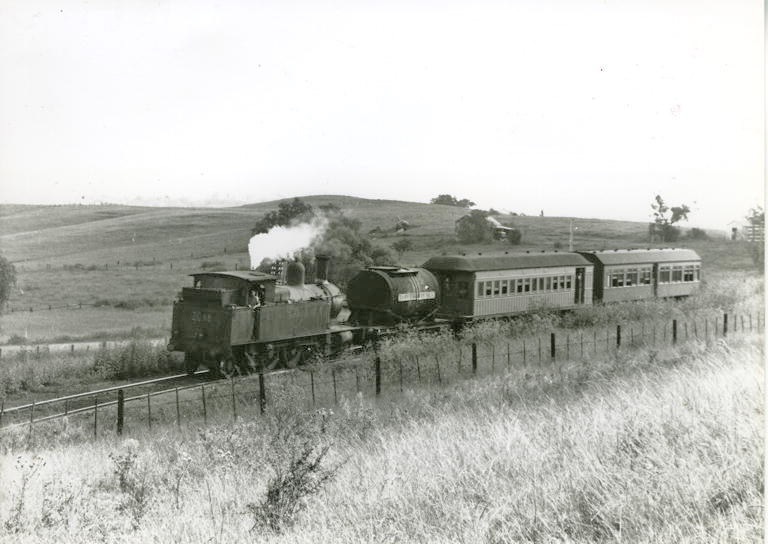 Fred Seers, ‘Passage of the Royal Train Through Campbelltown To Menangle 1927’, Grist Mills, February 1993, Vol 6, no 5. Pp21-22. Sun (Sydney, NSW : 1910 – 1954), Sunday 3 April 1927, page 2. The Camden News, 7 April 1927, page 1. The Sydney Morning Herald (NSW : 1842 – 1954), Monday 4 April 1927, page 11. Sydney Morning Herald (NSW : 1842 – 1954), Friday 1 April 1927, page 4. 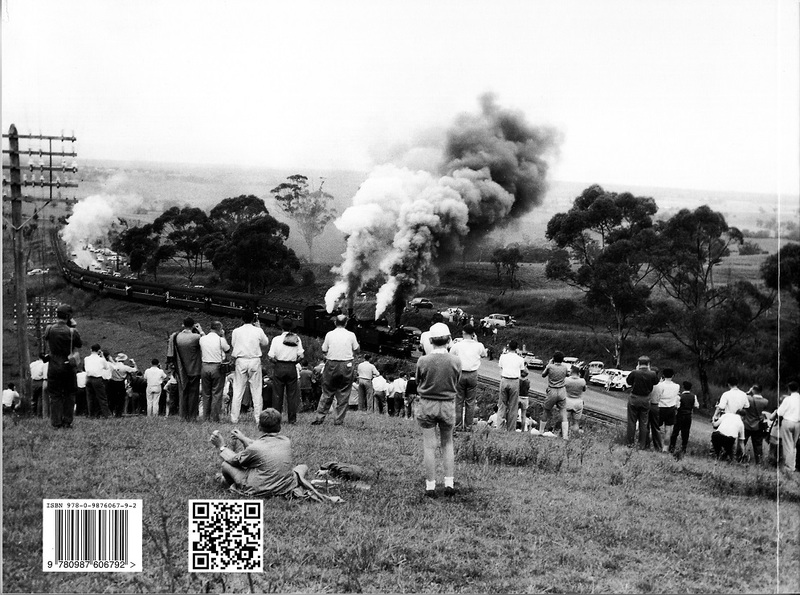 Fred Seers, ‘Passage of the Royal Train Through Campbelltown To Menangle 1927’, Grist Mills, February 1993, Vol 6, no 5. Pp21-22. The Camden News, 7 April 1927. The Camden News, 7 April 1927, page 1. Warwick Daily News (Qld. : 1919 -1954), Monday 4 April 1927, page 5. Morning Bulletin (Rockhampton, Qld. : 1878 – 1954), Monday 4 April 1927, page 10. Mercury (Hobart, Tas. : 1860 – 1954), Monday 4 April 1927, page 7. West Australian (Perth, WA : 1879 – 1954), Monday 4 April 1927, page 8. The Camden News, 7 April 1927, page 1. Picton Post (NSW : 1907 – 1954), Wednesday 6 April 1927, page 2.